Perhaps it’s fitting that in the month of groundhog day, I felt a little like I was a character in the movie Groundhog Day, where a single day keeps repeating over and over again. A lot of the lab work that I was working on in February involved repeating procedures that I carried out in January. Several steps of the technique I’m using to looks at the DNA of my experimental plants haven’t been perfected for my specific species yet, so I re-run treatments to try and determine the best techniques. In the botany labs we call it “troubleshooting” but it’s really just doing things over and over again, each time with a slight variation in the procedure to try and find the exact right formula for success. I have a feeling the lab work I’m conducting to find unique DNA sequences for some of my plants is going to involve a lot more rounds of this repeating and trouble shooting, so at least I’m getting more comfortable with some of the methods that were new to me at the beginning of the year. Grasses and dried up wildflowers peek out through snow drifts on a green roof. Every season is beautiful up here on the roof. 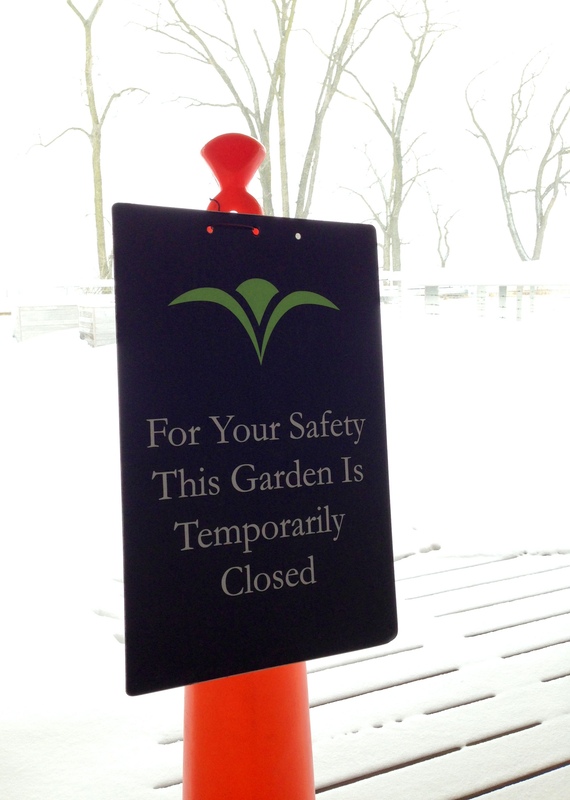 The green roofs are closed for the winter – the plants get the roofs all to themselves. As you might expect, my outdoor work is pretty much on hold for now. I’m hoping that the record cold days that Chicago experienced in February haven’t harmed the plants that I’ve been monitoring on the green roofs in various locations throughout the city. But I think they should be OK. 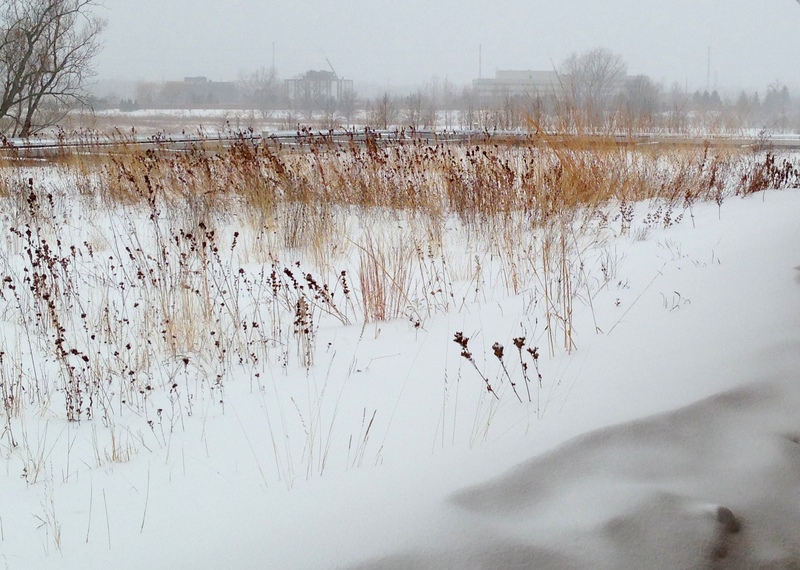 These species are prairie plants, native to the Chicago region and they should be able to withstand the harsh cold and heat that this area sometimes experiences. I like to look at the snowdrifts that I see on some of the green roofs and know that my little plants are safely underneath the blanket of snow, just waiting for spring – like me! My experimental seeds are still just “chilling out” in the cold incubators. In a few weeks, I’ll turn up the temperature and it will feel like spring to the seeds. The seeds that I put in the incubator back in December are still dormant, just waiting for me to turn up the temperature and create an artificial spring time for them. 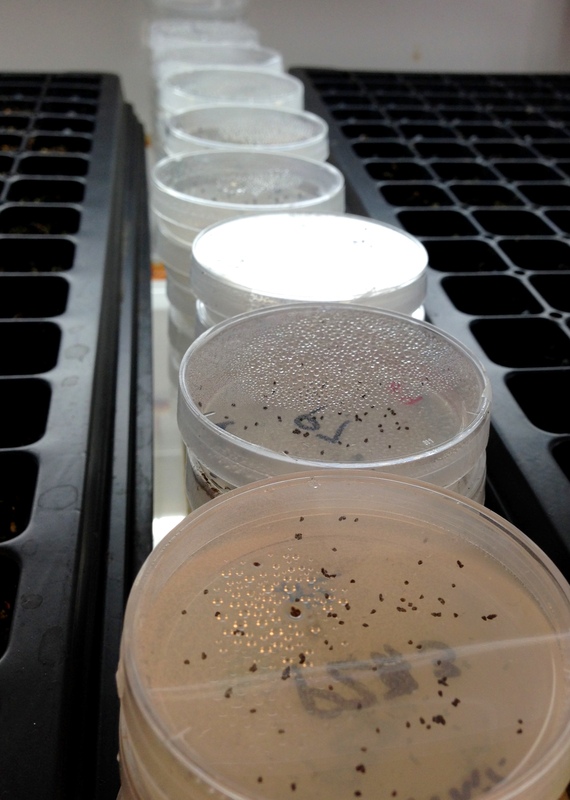 They don’t have too much longer to wait – it will only be a couple more weeks before I move them on to the next part of the experiment and start growing them up into little seedlings. As I look into March, I can feel that spring is right around the corner and the busy data collection time is about to get even busier. There is a sense of excitement as the days start to get longer and the temperatures start to get warmer. The three main research projects that make up my dissertation are starting to come into focus. I am also excited looking forward, as this past month I was awarded a Northwestern University Presidential Fellowship, which will allow me to interact with other researchers at my university and at the same time focus on my research without the additional time commitment of performing departmental duties. I am thrilled to represent the botanists of world in this amazing group of scholars and look forward to learning many things from them over the next 2 years.